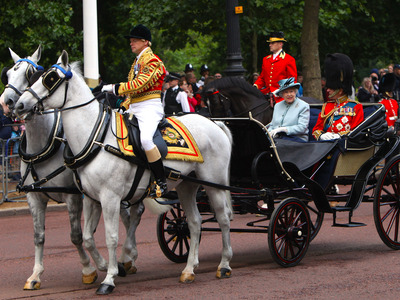 GettyQueen Elizabeth II and Prince Philip in 2011. A 183-year-old law originally designed to regulate horse-drawn carriages is partly responsible for preventing buzzy Silicon Valley scooter startups from expanding to the UK. The 1835 Highways Act prevents cattle, horses, and “carriages” – like scooters – from riding the pavement. Two startups, Bird and Lime, have been in talks with UK regulators about bringing electric scooter hire to London, but can’t launch unless the laws change. 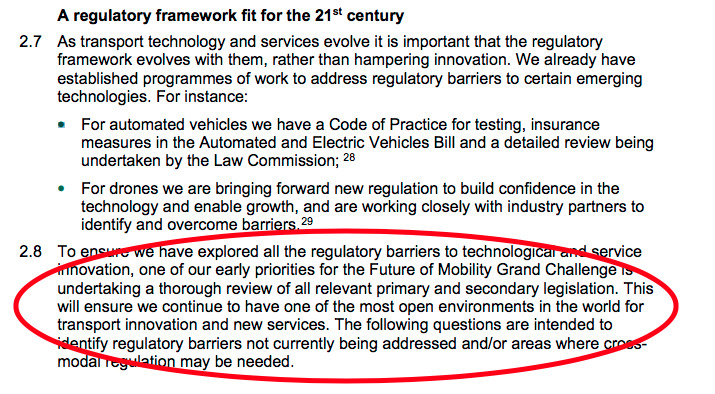 They have a chance to influence the law, however, because the British government is currently examining whether transport regulation might be getting in the way of innovation. Electric scooter startups are spreading across the US, and raising billions of dollars in venture capital as investors pile into the boom in on-demand transport. 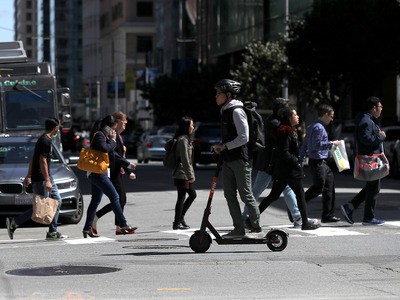 The idea is simple: Startups such as Bird, Lime, Jump, and Spin leave their electric scooters available for hire all over a city. Anyone wanting to use one can find one nearby via an app, “unlock” it with the app, then hire it for a small fee per minute. Once they reach their destination, they can leave the scooter anywhere. But not in the UK. Electric scooters are illegal on public UK streets and pavements, meaning Bird and its rivals would be flouting the law if they tried to launch in Britain. And that’s partly thanks to a 183-year-old act originally designed to stop nuisance behaviour from horse-drawn carriage drivers, and those driving cattle. It might sound like something from a Charles Dickens novel, but this is genuinely enshrined in British legislation. And what about electric scooters on roads? That’s still (mostly) illegal, because the government requires scooter owners to register their vehicles with the DVLA, the UK’s driving authority. And in order to pass the DVLA’s strict requirements, a scooter would need to have three wheels (most operate with two), and be fitted with brakes and lights. That rules out most popular types of scooter. These regulations have floored American scooter startups trying to expand to the UK, according to emails released to Business Insider last week under the Freedom of Information Act. “[The] legislation that is in effect is +100 years old,” complained Bird’s UK head Richard Corbett in an email to Transport for London, the capital’s transport regulator. Shona Ghosh/Business InsiderAn email from Bird executive Patrick Studener to London’s transport authority. A spokesman for Transport for London said there was no way Bird, Lime, or other US electric scooter startups could launch legally in the UK under the current legislation. That would be up to the Department for Transport. A Department for Transport spokesman didn’t comment but pointed Business Insider to the department’s new consultation around new forms of transport, launched at the end of July. The Future of Mobility consultation will examine new methods of transport – including electric scooters – and consider how the UK’s infrastructure might adapt to these new technologies. 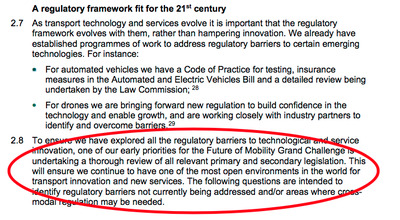 Specifically, part of the consultation addresses how current UK law might need to change. David Metz, honorary professor in the Centre for Transport Studies at UCL and former chief scientist to the Department for Transport, told Business Insider this would probably give the likes of Bird the chance to argue for changes in the law. Metz’s comments suggest that Bird and its rivals might eventually be successful in launching pilot schemes in the UK – but for now, the cattle rules still rule.